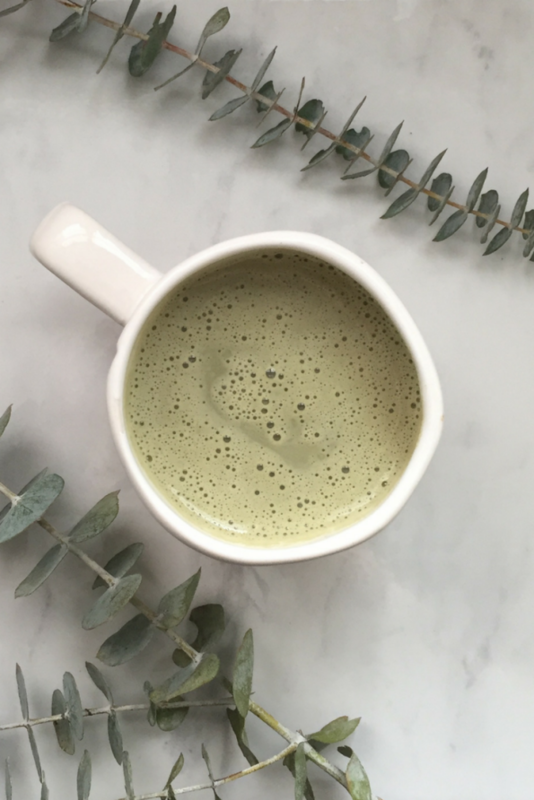 Matcha lattes are more than a wellness trend. Matcha is full of antioxidants and have the magical ability to give you energy and calm. Many years ago, before matcha lattes became a wellness trend, I ordered matcha powder on Amazon from a Japanese seller. I think I read about matcha in a magazine, and I couldn’t find matcha powder in local stores. I tried making matcha tea and matcha ice cream, but never really got the hang of using it. But now matcha is more well known, and you can find matcha lattes at coffee shops and many companies are selling matcha tea powder. Matcha is a powdered green tea grown and produced in Japan. The green tea leaves are shaded from the sun during the final part of their growing period, which increases the chlorophyll content and enhances the green color. Because it’s ground into a fine powder, you consume the whole tea leaf, so you get more antioxidants. Antioxidants are great for fighting free radicals and cellular damage in the body reducing inflammation. What makes matcha tea unique is that it contains the same amount of caffeine as other types of tea, but it also creates calmness because of the amino acid L-Theanine. Matcha is a great option if you can’t tolerate coffee, but need a boost in the morning. I like to have matcha lattes in the afternoon when I have a dip in energy. My version of the matcha latte contains plant protein. I used my favorite plant protein powder, which contains a blend of pea, pumpkin, quinoa, chia, and hemp protein. You can check out my favorite protein here. Place all ingredients in a blend. Blend until combined. Pour over ice and drink cold or heat in a saucepan over low/medium heat. Want to stop obsessing over food? Download my free guide to discover how to eat more intuitively so that you don’t have to go on another diet again. Download your guide here.